Worship is at once a simple thing and a complex thing. There are aspects of worship that we may never fully comprehend here below, but we have eternity to explore. While worship includes aspects such as rejoicing, thanksgiving and proclamation of the goodness of God, I wonder if we are not missing an essential element in the church world today. What I am suggesting is not that there is anything wrong with those aspects of our worship, but that we have forgotten a key ingredient, which can only be cultivated through intimacy with Jesus Christ. That element is awe. 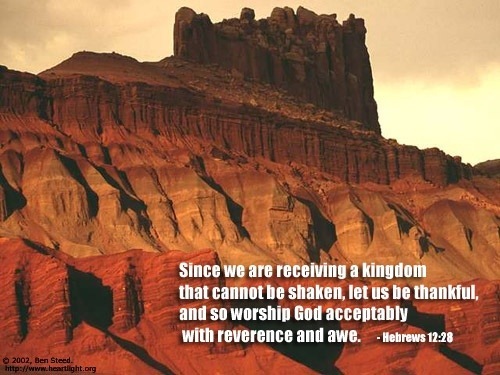 But let me call your attention to what was said in Hebrews 12. The Writer describes “acceptable worship” as having the key ingredients of reverence and awe. 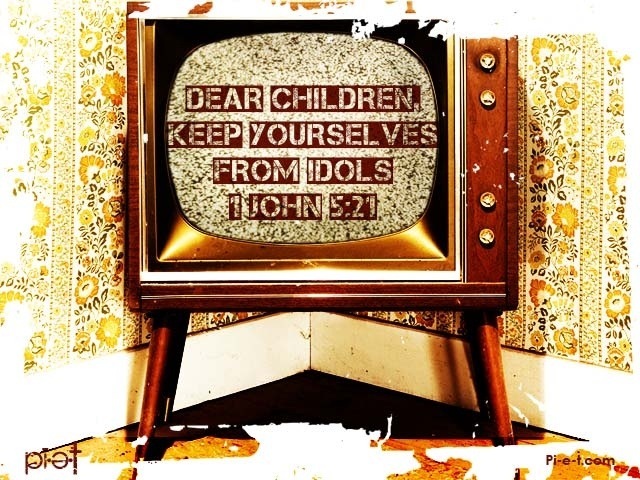 Back in Isaiah, God revealed that those are the only worshiped that get His attention. And keep in mind here, that He is specifically talking about worship. There is no shortcut to awe. Is not something that can be drummed up by a worship leader working the crowd and “pumping you up”. Oh, we can appear humble and broken, and even shed a tear. But let’s not confuse that with awe. Awe is what causes us to tremble at His Word. Awe is what fosters the fear of The Lord in our soul and spirit. So lets make a concerted effort to focus on who our God is. As we meditate on this “consuming fire” lets realize that if it were not for His mercy, we would be consumed by that very fire instead of being welcomed by it. There are many things and people in the Old Testament that are types and shadows of things in the New Testament. For example, the Tabernacle in the Old is shown in the Letter to the Hebrews to be a type of Christ. An interesting parallel can also be found between Genesis 1 and John 1 when it comes to new creations. 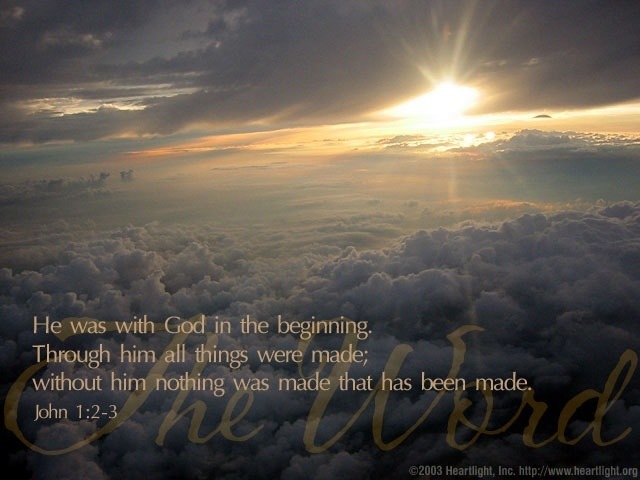 So, through the fuller revelation of the New Testament, we see the Jesus was the one who is the Creator. Later in Genesis 1, the inspired narrative continues with the creation of light. In the same way, John continues with he’s description of Jesus Christ. 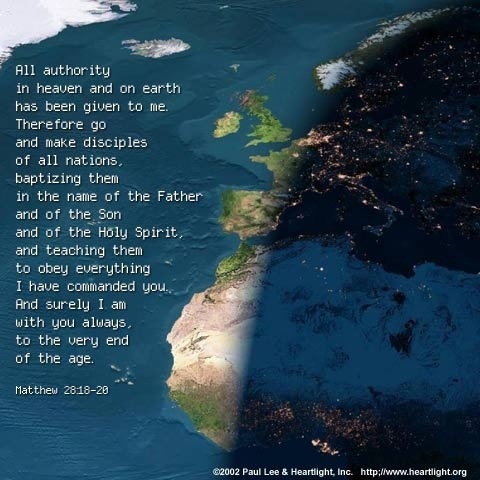 In Genesis, we see the Spirit hovering over the waters of creation (Genesis 1:2) and in John we see the Spirit hovering over the waters of baptism, where a new creation now takes place. The apostle Paul draws a further parallel between Genesis and the Gospel by comparing Jesus and Adam. Paul goes further and calls Jesus the Second Adam (1 Corinthians 15:21-22, 45-49). Both were tempted in a garden (Eden and Gethsemane). Through the failure of the first Adam sin and death entered the world. Through the obedience of the second Adam life and redemption have come to the world. Adam sinned at a tree, realized he was naked, and brought sin and its shame. Jesus was stripped naked, crucified on a tree, and paid the penalty for our sin, bearing our shame. The early Christians called the creation account the “protoevangellium” or first gospel for that very reason. The Old Testament becomes so rich when we read it while asking what it is telling us about Jesus. It also illustrates how Jesus is the perfect fulfillment of the Law. It also shows how the Bible fits so well as a revelation. Only God could orchestrate a collection of 66 books with 47 authors and have it fit so well together! When I was online (okay, Facebook) the other day, we were discussing methods of Bible study. The person said that they just pray, read the verse, and God tells them what it means. My response was tentative, because she was wrong on so many levels that I didn’t know where to start without offending her with my reaction. Is “read once and pray” your method of studying the Word? Let me encourage you to reconsider. To be clear, I have no objection whatsoever to praying before Bible study. In fact, you can and should pray before just about everything! Where the problem arises is when we pray and expect to have the interpretation supernaturally handed to us on a silver platter. Don’t get me wrong, there are times when I have been reading and a verse seems to jump off of the page, or suddenly becomes clear. But those times are more a product of study and the pieces finally coming together than an epiphany of some sort. The Word of God is not a pond where the truth rises to the top and is effortlessly scooped off the surface. It is a rich gold mine that has priceless riches that we are to dig deeply into to discover what God has placed there for us. God has promised to “reward those who diligently seek Him”, and we aren’t doing that when we refuse to put in the work to dig in and discover the depths of the truth. Failure to do the necessary work involved in mining the Word will lead to a life of milk diets at best, and deception at worst. Not every voice you think you hear is from God, but you will never be able to recognize truth without doing the work to let the Word transform and renew your mind. Jesus said to “keep on seeking, keep on knocking, and keep on asking” and that is not a one time experience. There is also a misperception that it is more spiritual to just pray and ask for illumination than it is to do the work of studying in-depth for yourself. In fact it is less spiritual, because the read and wait method means disobedience to the command of Jesus in the Sermon on the Mount to keep asking, keep seeking and keep knocking. It also means that we don’t believe that God rewards those who “diligently seek Him.” What are you expecting Him to reveal that is not already there? Have you exhausted the text and discovered everything it has to offer? Then why do we go to it and expect new revelation when we have not mastered the truth that He has already revealed? So do the work and dig into the Word. 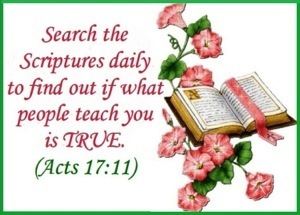 There is only one way to God, but there are also no shortcuts to studying His revealed will in the Word. Don’t be lazy about your studies. The gold and gems are there, but we must dig them out if we are to appreciate the treasure for what it is. God has promised that you will not come up empty! Doing otherwise doesn’t mean you won’t have any opinions about what the Bible says; it just means you will have a lot of wrong ones. I heard an illustration the other day, and was so impressed by it that I thought I would put it here and maybe expand on it a bit. Perhaps it was because the illustration was from something that was so familiar. In fact, it was more familiar than I wanted it to be. So thanks, Landon, for the powerful (in many ways) word picture. Have you ever had one of those diaper machines? I remember having one called a Diaper Genie, and it was a very useful little invention. When a diaper became “soiled” I would lift up the lid, place the offensive object inside, twist, and close it again. The diaper was surrounded by a plastic bag, and was safely inside. Eventually, though, I would be accosted by an ever increasing odor when I would open the lid. Thankfully, I could take it outside and empty what looked like a chain of sausage, into the trash to be left at the curb. Early in the morning the garbage truck would come by and take it away forever, and it would be buried. What that illustrates very powerfully is the difference between our sins under the Mosaic Covenant and the New Covenant. Under the former system of sacrifices of animals, our sins were covered over, kind of like a diaper inside a diaper pail. Every year the sins of the people were covered. Under the New Covenant, it is different. 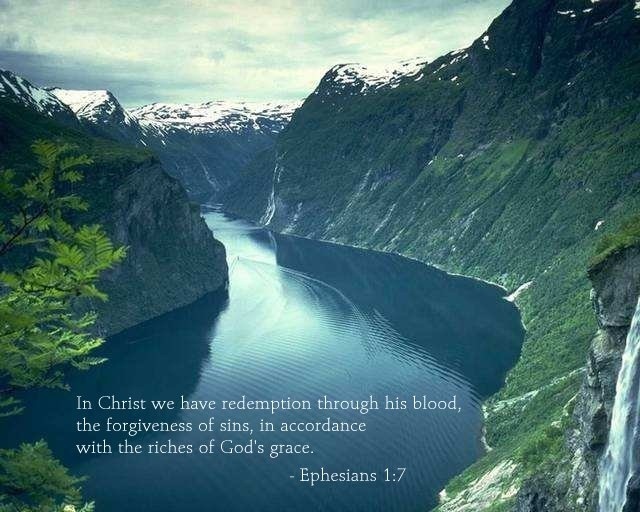 We now have the remission of sins. Just like when we take the sausage chain of corruption to the curb, we bring our sin to Jesus and forsake them. We leave them there and don’t come back to them, just like we would never think of reusing a diaper pail roll. Jesus has promised to take them away and remember them no more. He takes them away instead of covering them up. He is able to do this because He has entered into the heavenly temple and offered His own blood once and for all and sat down at the Father’s right hand. So remember, those of you with diaper genie machines, our sins are no longer covered and wrapped up, have have been taken away by Jesus. And then hurry out and empty that thing!